The U raka House in Prague, Černínská Street No. 10/93 in Hradčany, is located close to the massive brick Marian Ramparts (Marianské hradby) dating back to 1730. 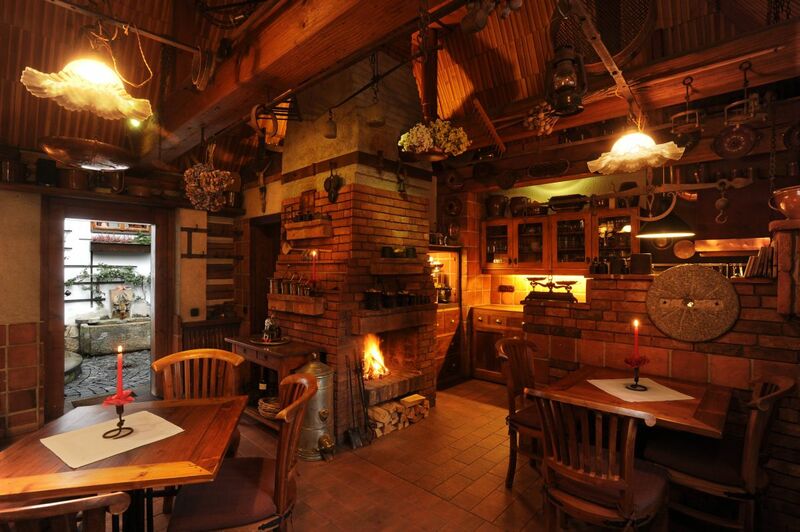 The U raka House is a romantic, cosy place where you can sit and enjoy a cup of coffee or a glass of good Czech wine. Light refreshments from our daily offer are available. You can choose e.g. homemade apple strudel that has been popular for a number of years and is baked by the owner’s wife. 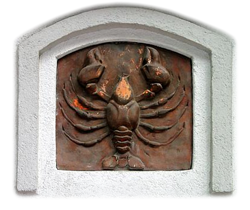 This romantic house belongs to the Paul family who are artists. 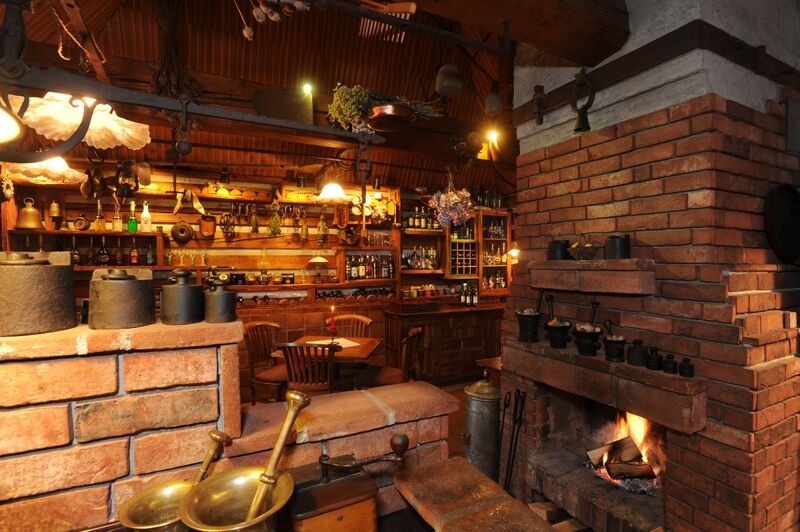 If the weather is bad or in winter months, you can sit inside by the open fireplace and enjoy the smell of the natural wood combined with the aroma of whiskey and rum. Regularly each year, after Christmas Day (24th December), Prague citizens meet and drink a glass of mulled wine and enjoy other goodies in front of the romantic U raka House. 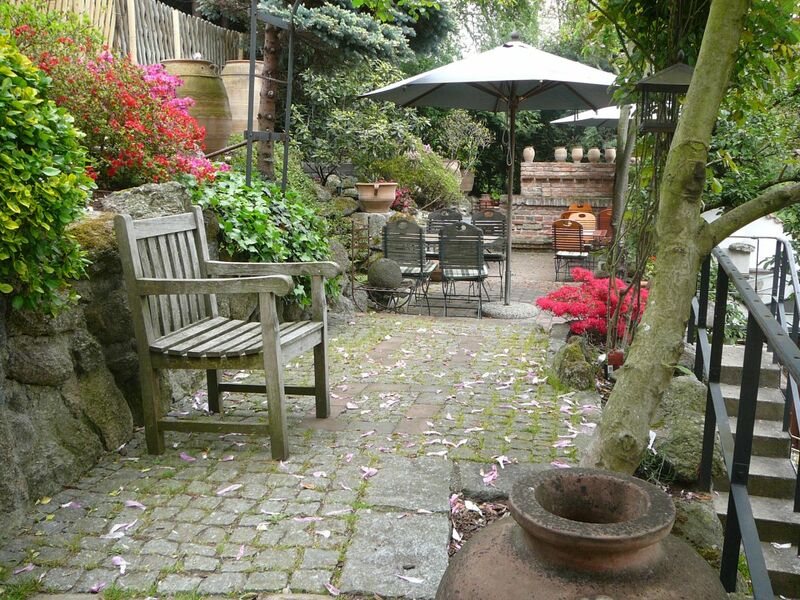 And in summer time you can sit and experience the romance in the beautiful garden of the U raka House instead. The oldest written record of the house dates back to 1739. At that time, the butcher Simonis bought some municipal land for 80 Rhine Gold Coins in order to build a stable there. The next owner, Mr Libický, also a butcher, extended the land. In 1794 Josef Schaller first mentioned the name of the house “U raka” in his description of the Royal Seat and Capital City of Prague. The Libický family changed the stable into a residential house and built another house on the land adjacent to the former stable. 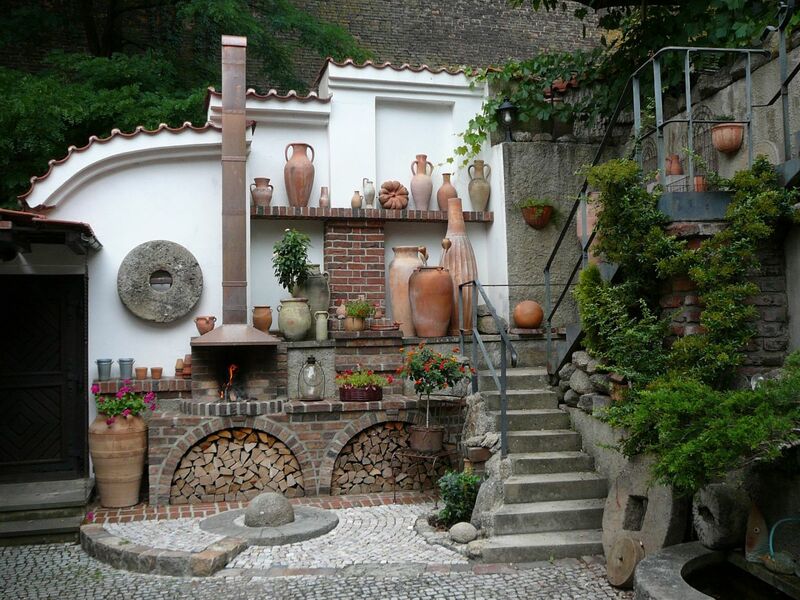 The first house built on the land was a timbered building with a shingle roof. 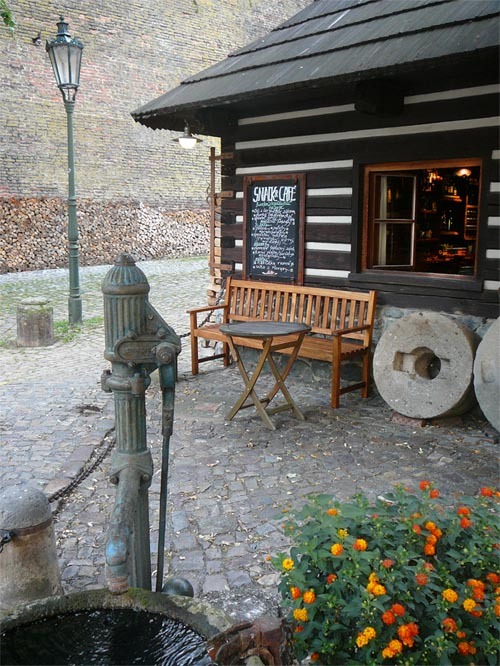 As time went by, this log house remained the only of its kind in Prague and it, including the whole complex, is a registered cultural monument.